The most environmentally sensitive multi-temperature diesel-powered unit we’ve ever made. A redesigned architecture. Unequaled reliability. It all adds up to double-digit fuel savings and a lower lifecycle cost. Fueled by growing concerns over temperature inaccuracy and contamination of perishable food products, governments and customers worldwide are demanding tighter control and more accurate monitoring of temperatures throughout the “cold chain.” Regulatory bodies have become industry partners in this effort, creating the Hazard Analysis Critical Control Points (HACCP) as a means of control. Precedent pays for itself in approximately seven years of use. A standard feature of Precedent Multi-Temp, the ETV uses a microprocessor to precisely control the refrigeration system to save you both time and fuel during pull down. Meets all known emissions standards without the need for an expensive after treatment system. 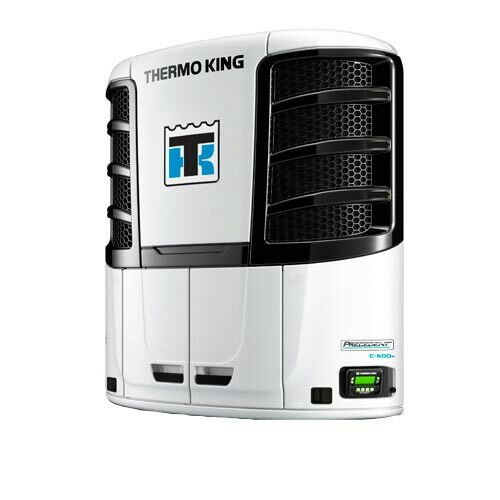 Every Precedent unit is backed by the Thermo King Dealer Network with over 200 locations across North America.